This is just adorable Shellye! So Cute! Excited to add it to my Easter board on Pinterest. I totally knew this was Shellye's project just by seeing the detail and precision of the project!! She seems to be able to add just the right touch and flair to the things she makes!! Well, she totally impressed me on this one!! SUPER cute!!! I want one like this! I just love this for Spring time decor, the details and die cuts look amazing against the white picket fence. I love how you used the twine to outline the fence posts! I pinned this fabulous project so I can reference it for inspiration! 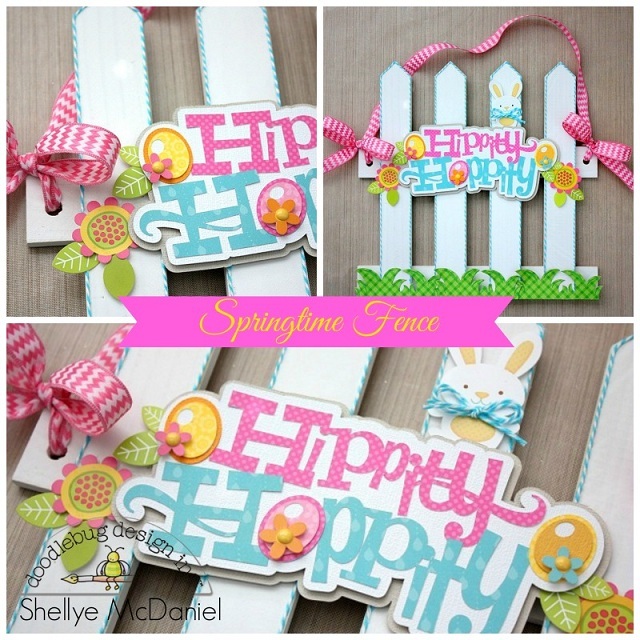 LOVE your Hippity Hoppity Fence Shellye - LOVE everything about it, from your cheery colours and twine edging to your fun embellishments and perfectly framed title!!! This is so stinkin' cute! Great Easter decoration!